Where are the Super Swimmers Foundation classes conducted? 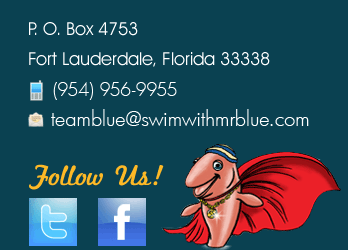 The swim classes will be conducted at the Super Swimmers Foundation pool located in the Broward Community Charter School at 11401 NW 56th Drive Coral Springs, FL 333076. These swim classes will be conducted in the mornings and evenings depending on their parents work schedules. Because the swim classes are consecutive to help reinforce repetition it will be important to have a time set that will be convenient for both the parent and child with autism. Who may participate in these classes? Any parent of a child with autism that needs swimming lessons or would like to participate is able to fill out an application for Super Swimmers Foundation. All children with autism must be cleared by their doctor if they have a history of any medical conditions before they can participate in our swim program through our Super Swimmers foundation. The parents of the children with autism fill out a Super Swimmers Foundation Application (Please see on our web site) and are based on the US poverty guidelines as well as the families financial conditions. The board of directions for Super Swimmers Foundation will determine the amount of swim scholarship each family receives. Is there a fee for participation in the Super Swimmers Foundation? If the family cannot afford the swim lessons at all then they will qualify to receive a free week of swim classes. Some families based on their financial needs will receive partial scholarships and other families who can afford the swim lessons will pay for them through the Super Swimmers foundation. How does the Super Swimmers Foundation help children with autism? Drowning is the number 1 cause of death in children with autism since they are drawn to it and it is very enticing to them due to the nature of these children. 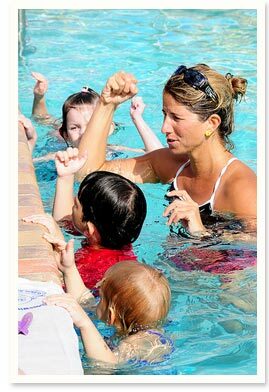 These swim classes will help children with autism to learn to swim both safely and successfully back to the wall therefore helping them if they were to accidently fall in the water. Children with autism have sensory issues and the water serves as a form of therapy even though we are not giving therapy the children with autism are benefiting from the swimming lessons in more ways than just learning to swim J We have seen children with autism such as Dylan (4 years old) who have kissed their mom on the cheek for the first time at our pool and sing full sentences of a swim song where they had never done this before! Dylan had a near drowning accident and his father ended up resuscitating him with CPR and we taught him to swim 3 weeks later. Another swim student named Sebastian who didn’t walk until he was 2 years old and has a shunt in his head with a form of Cerebral Palsy and Autism learned to swim in our program. He even sings all the words to the songs in his own way and has started to play them on the piano. He is 4 ½ years old. Can you please tell us how each Super Swimmers Foundation is exclusively charitable or educational? The swim program for children with autism is exclusively charitable and educational because it is geared to help meet the needs of children with autism. Children with autism have an amazing ability to memorize facts and figures and when they hear the Learn to Swim with Mr. Blue story and watch the DVD they seem to connect to it in a way that is very unique to their learning disability. Children with autism are already receiving so many different therapies and their parents are spending a fortune on them. We feel that Super Swimmers Foundation will be an awesome program to help them. Super Swimmers Foundation knows that these children with autism will not only learn to swim through our foundation but they will also learn to pay attention more, make more sounds and try to verbalize more and have more confidence and motivation to try new things. 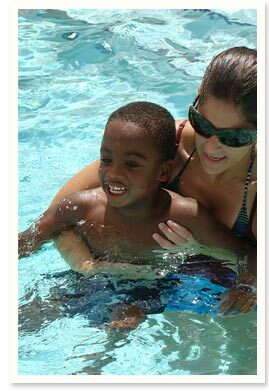 The parents need help in paying for these swim classes so by having the swim program through this foundation it will make it more affordable to everyone who has a child with autism therefore allowing every child with autism an opportunity to learn to swim both safely and successfully in our Super Swimmer Foundation Program.